NOW --there is not one thing wrong with asking for prayer--for you and yours. We all have a need to share the latest news and need everyone to know we are on the cutting edge of being in the know. I AM GUILTY Shame on me for using the need for prayer as my excuse to share the latest news-heartbreak-tragedy or any other pitfall of the human condition to prove my Christian Concern. In the most successful Small Group, I have ever had the privilege of being a part of, we agreed to ask for prayer for ourselves and those closely connected to us-only---and NEVER ask for prayer for anyone or thing which we were not already praying for ourselves. How easy it is to throw those words around, "I am praying for you." It dawned on me in the last few years the consequences of saying those words and then not following through. I cringe writing this and remembering those times I promised to pray and somehow forgot before I got back to my car. God, forgive me when I have failed to bring before your throne, what I said I would. Prayer is important---too important to become a tool of gossip. Have a burning need on your heart--treat it the same as the guidelines for gossip-repeat only the fact without addition. God knows all the details--He is a God of details and He has no need for us to repeat back to Him what He already knows and understands far better than us. Many times, I go to God with these simple words, "God I bring John Doe before your throne--with no knowledge of how to pray for them--but with the full knowledge you are fully aware of them and their needs. I pray for them, Lord." Pray for me--that I might pray with purity of purpose and all for His good glory. Oh, how I understand where you are coming from. I'll be laying there at night, thinking I have forgotten someone...then the face or name pops up, thank you Lord for knowing whom I am suppose to be praying for. Sometimes, just saying, "Friends or Bloggy friends or Family", just doesn't cut it and He reminds me. I won't comment on the gossip issue anymore...I think I have exhausted that one/issue, lol. Thank you for such great posts, Blessings to you. God nudges---what a blessing to know He is listening--knows you have forgotten someone and gives you the nudge. Hi Lulu! 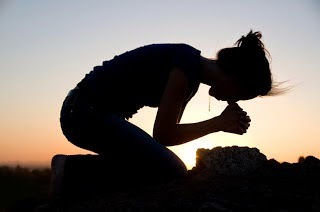 I know what you mean about promising to pray, and then not remembering to list that need in my own private prayer time. Now what I do is spiritually tuck that person or situation right into my heart, where it will be present always when I stand or kneel before the Lord. He sees. He knows. Interesting point about gossip. It's human nature to be curious, to want to know details. But is it always necessary? Probably not. I guess it all comes down to intent. Do I want to know just to know? Or am I asking out of compassion? Yes, I will pray for you, because you are now tucked into my heart, and before the Lord whenever I am. I feel so comforted knowing you have me tucked, Ceil. When a Godly woman brings you before the throne, I KNOW He is listening! A zero tolerance for gossip? What would our lives look like if we embraced this beauty? I listened to Dave, Linda. I found his intolerance alarming. There is no turn the cheek---no teaching--nor mentoring- there is the blanket statement, "I will fire you." Perhaps if the message is adequately conveyed at the beginning of employment with a thorough explanation, I could tolerate it better. He is nationally known and famous for his teaching-but on this point I must wonder of the wisdom of making a blanket pronouncement with no room for any grace ever. With that said---we can agree to disagree about Dave--YES?, there is certainly a problem in the work place, BUT I am most concerned about the effects of gossip on the church, on families, on relationships. The excuse of asking for prayer while telling the entire sordid story of all who are listening makes my skin crawl. Having been the victim of gossip, it is a mighty weapon in the hand of the enemy!